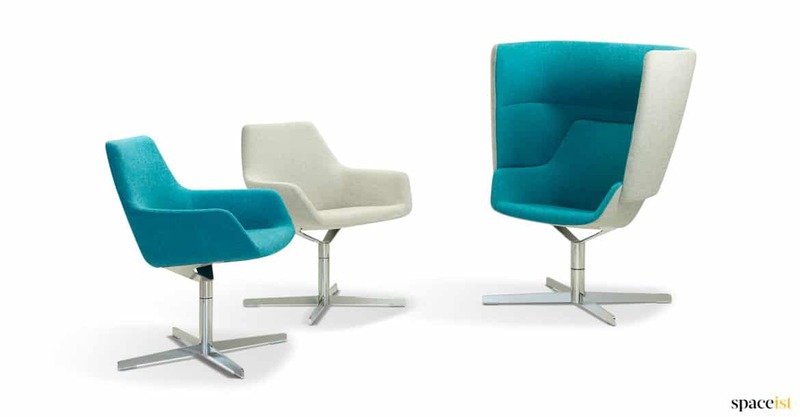 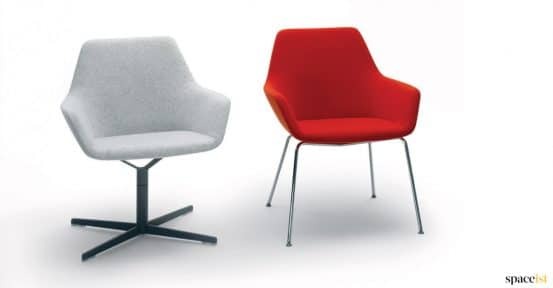 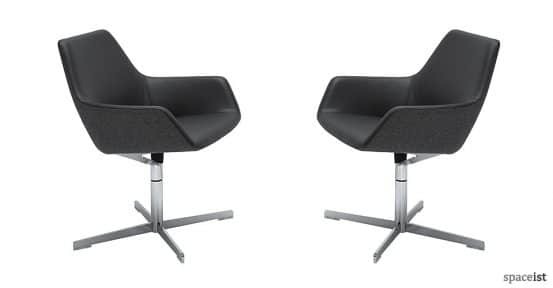 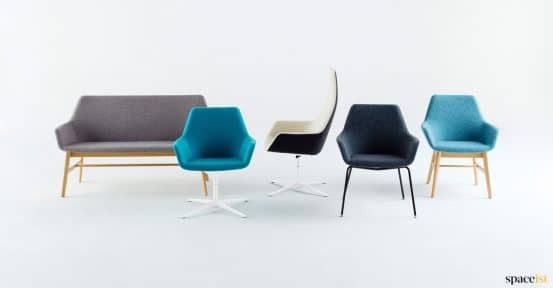 Designed by Simon Pengelly, the 86 reception chair is a comfortable and highly robust swivel chair. 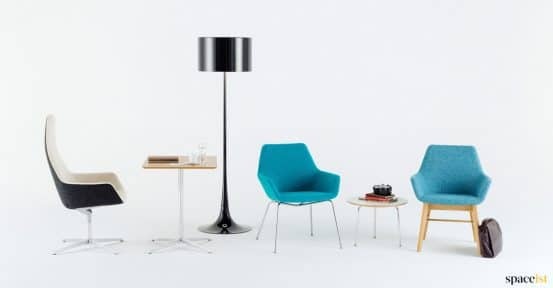 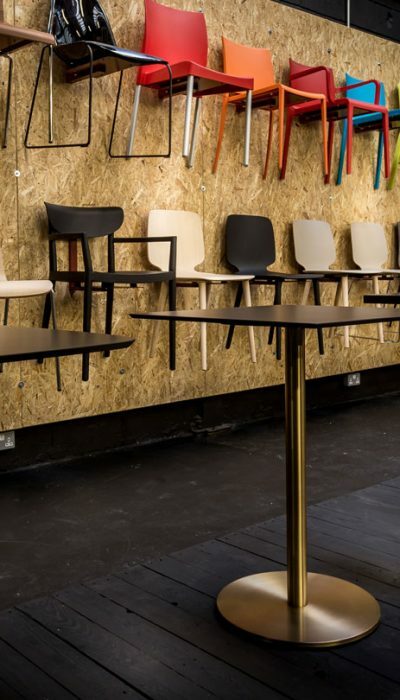 The chair is built on a steel frame with a sprung seat for extra comfort. 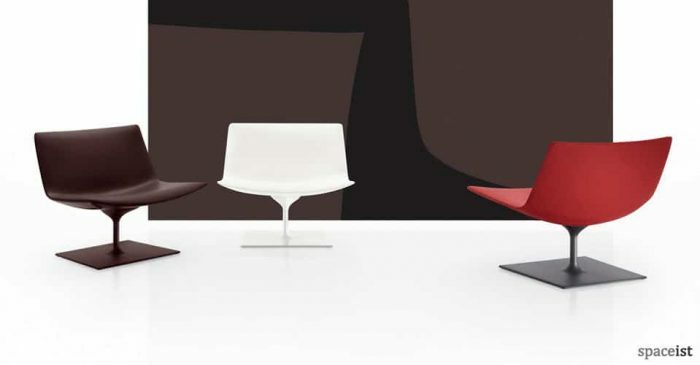 The swivel base can be polished chrome as shown or painted dark grey. 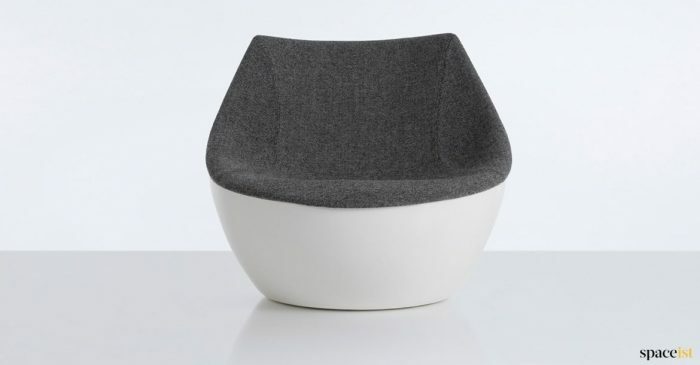 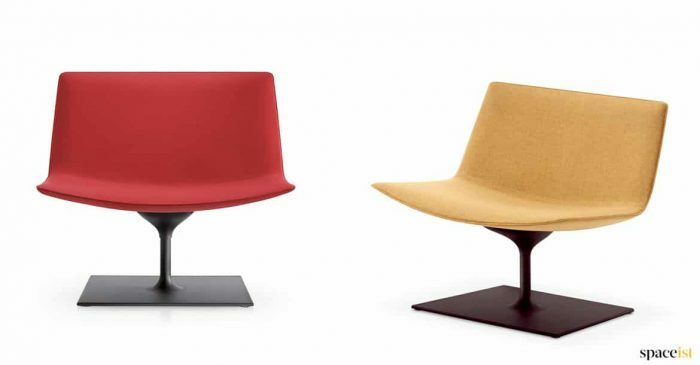 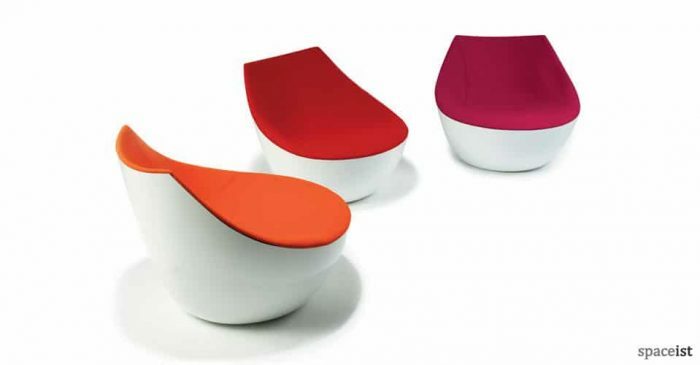 The upholstery may be leather or wool and it is possible to specify a leather inside seat with a wool outside shell. 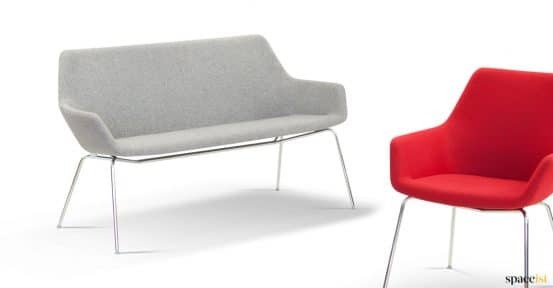 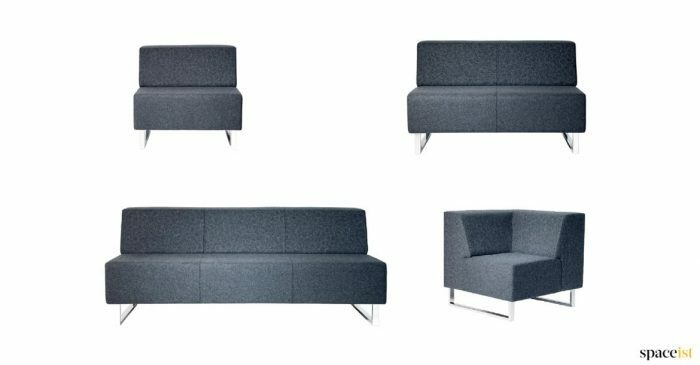 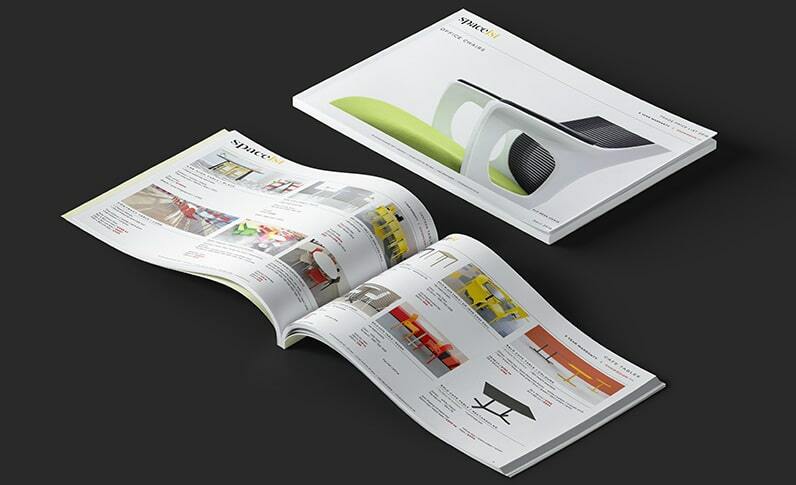 Beam seat and 4 leg versions are also available.